GEORGE NEWS - Keegan Longueira, the intrepid adventurer and cyclist who is cycling through South Africa to raise funds for charitable organisations, expects to be in George on 25 November. With two massive self-supported bicycle trips under his belt he has set his goal at being the fastest self-supported cyclist from Cairo to Cape Town and eventually a full circumnavigation of the world. He founded The Cape Trek project in 2011. After competing the 2013 ABSA Cape Epic during which he collected money for Cansa, Keegan decided to quit his job and turned 'The Cape Trek Project' into a company. He also went back to studying his Bcom Marketing through Unisa, determined to get his degree. Keegan made up his mind that he would make adventure and motivating people part of his career. This time around Keegan has become committed to donating a fair amount of money to cleft palate surgery and has matured into a young man keen to inspire the youth in a world that doesn't follow dreams. He refuses to conform. "I want to change millions of lives through the only means I know how, with a bicycle, my heart and inspiring words," said Keegan who is currently finishing his first book entitled Two Wheels and a Chain describing how he went from an alcohol addicted depressed young man to having his life changed through travel and broadening his horizons. He holds a record for the worlds most expensive haircut (R36 000 for Cansa) and is also the fastest man (with Gert Janse van Rensberg) across South Africa on bicycle. All this at just the tender age of 22. 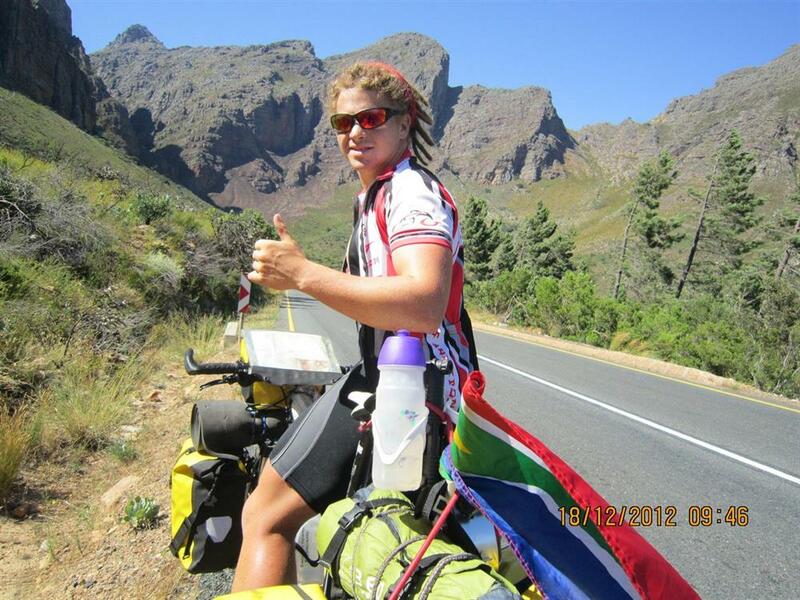 People can follow his trip live on the following link: www.facebook.com/capetrek.